Almost two years after her death, I was told about the NVICP (National Vaccination Injury Compensation Program). This is a “non-fault” government-run program funded by a tax on the vaccines. It acts as an insurance policy to protect vaccine manufacturers from being sued for vaccination related deaths and injuries. Their cases go to trial as any other court cases, but they are overseen by a Special Master, not a jury. The Special Master hears both the victim and government’s arguments. 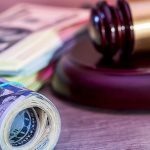 If, and only if, proven scientific data or testimony (not a casual link or circumstance) is presented by the plaintiffs, the master then decides on the amount of compensation to be awarded to the victim or their family. The VICP process took approximately 2-1/2 years. In that time, all my questions were answered. 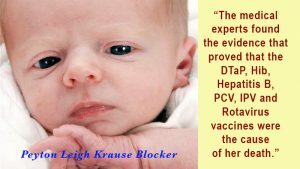 The medical experts found the evidence that proved that the DTaP, Hib, Hepatitis B, PCV, IPV and Rotavirus vaccines, were in fact, the cause of her death.I thought this was a great thing. I now had scientific proof, expert testimony, and a sum of money to be able pursue other suits, to bring awareness that vaccines actually do cause deaths. What I didn’t know, was filing with the VICP did not extend the statute of limitations (as I thought), in essence making it legally impossible to file for a wrongful death, medical malpractice, or any civil suit. But at least I had the medical evidence to educate others, right?? Instead what I’ve found is no one listens. Every pro-vaxxer spouts out statistical data and research trends to argue their case. Herein lies the problem: we aren’t capable of doing the same. 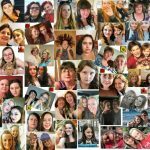 Victims of vaccination related death that go through the VICP are NEVER accounted for. Their “non-fault” clause covers up the data that would reveal the truth behind these deaths. My daughter’s death certificate will ALWAYS read, “Sudden Unexplained Death in Infancy (SUDI).” Her death will NEVER be part of any statistical data that would show the truth behind vaccines. 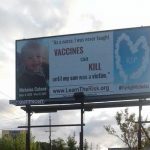 Her death, and many others, aren’t accounted for in any material that pro-vaxxers or doctors use to attempt to convince us on how “safe and effective” vaccines are. Could you imagine the uproar if the government allowed the actual cause of my daughter’s death to be printed on her death certificate? 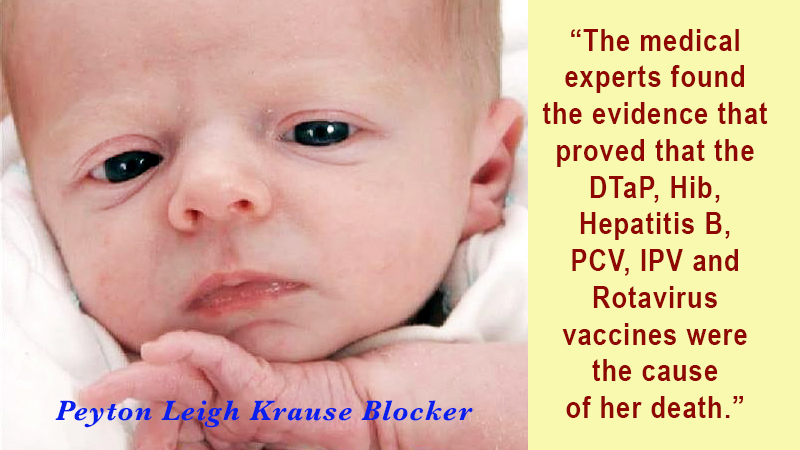 Could you imagine the billions of dollars that would be lost if pro-vaxxers could read the words, “DTaP, Hib, Hepatitis B, PCV, IPV, and Rotavirus – cause of death”? How to answer those who question; explain to them why you aren’t able to provide accurate percentages or annual findings. You personally know of one infant death that will never be accounted for. They, (the pro-vaxxers), will use the Vaccine Adverse Event Reporting System (VAERS) canned response that VAERS is reported information, not factual. October 1, 2008 was a normal day for Peyton and I. Her father left work around 4:30 a.m. I got her up to feed her, we’d play, she’d nap, and the cycle would continue. Peyton’s wellness visit was scheduled at 2:00 p.m. at Cambridge Pediatrics in Waldorf, Maryland. When we arrived, I was told her regular Pediatrician Dr. Abney was not in the office, and that Dr. Karen Laney would be seeing Dr. Abney’s patients. Dr. Laney told me they would be giving Peyton her scheduled vaccinations. I asked if she was aware that Peyton was born almost a month early (due September 16, 2008, born August 19, 2008). She said it was routine, then gave me SIDS prevention tips. 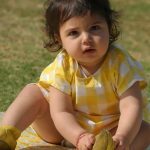 (I lived as a SUDI/SIDS mom for two years, nothing makes your blood boil more then giving a SIDS parent “prevention” methods to avoid SIDS when there is no explanation to the cause of SIDS). After the vaccines were administered, her cry was like no other I had heard before, and it didn’t stop. We went straight home, and I gave her the Advil hoping that would help. It didn’t. I tried everything to calm her with no success. A few hours later her dad got home and he tried to calm her. About an hour later, she had fallen asleep in his arms. I remember him saying, “See, she just wanted her daddy.” We took her to her room and laid her in her basinet and the two of us just sat and talked. We agreed that her cry was not her normal cry and we went over all of the pamphlets and paperwork that the pediatrician gave us. She woke up about two hours later. We had some play time, gave her a bath, fed her, then started getting her ready for bed. I always sucked at the swaddling process, so dad got her all wrapped up. I walked into her room and I knew instantly!! As I picked her up, she was cold, stiff, and discolored. I screamed in pure terror. I had her in my hands heading towards our bedroom. Her father had met me in the hallway. He took her from my arms and laid her on the floor and he also was screaming. He grabbed me and hugged me as I stared blankly at the wall. This moment felt like forever. I finally uttered the words that we needed to call the police. Everything that followed seemed to be complete chaos. Police, detectives, and first responders filled our home along with a few friends and family that snuck past officers. I was in complete shock, almost like I was watching everything from outside of my body. I couldn’t wrap my head around what had just happened. I could hear everyone talking, but wasn’t listening to anything they were saying. I just kept repeating, “Oh my God, Oh my God.” I wasn’t breaking down sobbing. I felt confused, scared, just lost. None of what just transpired was sinking in. I was not capable of making funeral arrangements, so my mother and grandmother took care of that. I received a call from the funeral home asking if Ronnie and I would like to dress her. Within the few days after finding Peyton, people would give me Xanax every time. They thought I was going to have a break down, so before entering the funeral home, I made sure to take nothing. I wanted to feel whatever emotions I was going to have. I’m glad we decided to dress her; this was the moment reality, immense pain, and a bit of peace happened. It was the most I felt of anything in days. Our families, Ronnie, and I got to the funeral home early on the day of the viewing. Most of our family members and friends had never even had the chance to meet Peyton. Ronnie and I stood at her tiny casket embracing each other. He stepped away because he saw his older kids come in. When I turned around, the funeral home was packed, hundreds of people starring at me, and I had no clue what to do. I stood at her casket and hugged people one by one. I didn’t even know some of these people. I was confused, and again, felt that outer body experience. My mind was blank and I was extremely overwhelmed. My best friend from 10 years old, grabbed my arm, and pulled me outside. She knew by the look on my face I needed a minute to myself. When I came back in, I sat down with a blank look on my face still feeling extremely overwhelmed. Every time I’d look at that tiny casket with my daughter in it, tears would start to fall. Then someone would hug me and I’d feel overwhelmed again. Every time I would just sit to gather my thoughts, someone would want to talk. Every time I’d start to show feelings of sadness, someone would pop me one of my Xanax. I have no clue how many I was given that evening, but it was a lot. The day of the funeral, I held my baby girl for the last time. The days, weeks, and months that followed were bad. Everyone went on with their own lives as my life had stopped. I went back to work about a year later. In September 2009, we found out we were pregnant with our second child. Terror filled those months. 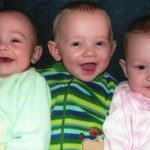 I was on a SIDS bereavement site and shared the experience of losing Peyton and how my heart told me that her death was vaccine related. A member of this group emailed me telling me of the VICP. So I got in touch with the lawyer she recommended (Conway Homer and Chin-Caplin). This was at the end of August 2010. I called the attorney and spoke with their paralegal (Susan). She told me they do not accept many cases and with the statue of limitations being a few weeks away, she doubted they would accept it, but to send over the autopsy, and she would have it reviewed. The next day I faxed the autopsy over. Susan called me asking me to send her the neuropathology report (under brain it said, “see neuropathology report”). I told her I sent everything that I received. She then said to call the medical examiner’s office in Baltimore and have them send me a duplicate one. 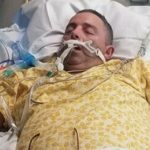 Then this happened – I called the medical examiner’s office, was told I was given all the information, and they couldn’t send me anything further. I called Susan and she said call them back and explain under brain it says “see neuropathology report” and that I don’t have that. I called again, with no success. Susan said to call back every 5 minutes until they agreed to send it. So I did, after literally over two hours and they finally agreed to send it, but they weren’t happy about it. After I received it, I faxed it to Susan. Within seconds she called me back and explained that she had been doing this for over 25 years, and she still had to submit it to the lawyers, but in her opinion there was a 99% chance they would accept it. She made it very clear that if they requested materials or documents from me, I would have to get them to her ASAP. There was only a few weeks to get everything filed before the statute of limitations was up. The case was accepted, and they were able to get everything filed on time. One of the reasons I was given for the lawyer accepting Peyton’s case was that her brain weight was comparable to a 3 month old, and this was consistent in vaccination related causes of death. I think I was told that multiple seizures caused this. There were a few odd things that happened during the case. The attorney requested the toxicology slides and were denied by the medical examiner’s office in Baltimore, Maryland. They had to have them subpoenaed. The government also requested the slides also being denied. They had to have them subpoenaed as well. Both sides only received a copy of a CD containing the slides by the medical examiner’s office. I spent the first few years in a complete daze, then my second daughter, Ryann, was born, so the next few years were spent in a non-sleeping panic, fearing I’d wake to find Ryann dead. Then their father and I split up. So it has only been recently that I am completely clear headed to now can go back and retain the information from her case. I looked at the case many times and for years if asked the pediatrician’s name, I would always reply with, it was Dr. Abney’s office at Cambridge. It was only recently that I read and retained her name, Dr. Karen Laney. I’ve tried to find any information on her with no success, only that she used to work for Cambridge Pediatrics. A few days after Peyton’s death, I went by the office to pick up her medical charts. Peyton’s doctor was walking past the reception area. We made eye contact and she quickly turned and went back the direction she came from. She took a step back behind the wall. After the receptionist found Peyton’s records, I asked if I could speak to the doctor we saw on October 1st. (I wanted to know if she thought Peyton’s death could have been caused by the vaccines.) The receptionist told me she wasn’t in. At the time, I didn’t have the energy to say, I just saw her seven seconds ago. My second trip to her office I was told she no longer worked there. Q: Am I calculating properly? Peyton was born Aug 19th (about a month early) and was given 8 vaccines on October 1st, making her 1.5 month’s old according to her actual birth date (but really 1 month old based on her due date because she was born early)? Premature babies are usually only vaccinated based on their gestational age, not birth date. Preemies are one of the most vulnerable populations for vaccine injuries and death due to low birth weight, underdevelopment, and other factors. Q: When did the VICP legal case begin and end (month/year)? Kara: It was within a week or two after her 2nd birthday. The statute of limitations would have been up Oct 2, 2010. It ended I believe March 2013. Q: If you can disclose, what was the amount awarded? Were there any “gag orders”, stipulations to not go to the media, or length of time you weren’t allowed to share the court findings or case results? Kara: Honestly, I’m not sure of any gag order. It was a very stressful time. I had just had my 2nd daughter, Ryann, in May 2010, and the girls’ father and I weren’t doing very well. If I’m not mistaken the award was for $137, 500.00. I held on to the check for at least a month before it was deposited. Kara: My lawyers and the government sent over numerous questions that were used in hearings. It was grueling and uncomfortable because each question made me feel like it was my fault. Q: When was your second daughter born? And did you vaccinate her? What are your plans to vaccinate or not moving forward? 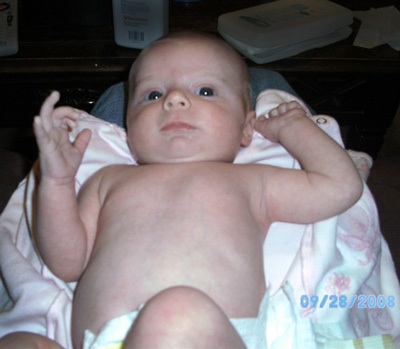 Kara: Ryann was born May 27, 2010. My plan for her was to get each vaccine separate and to be given one at a time, then go for the 2nd one when I felt comfortable – having her on an alternate schedule. (In November 2013, my mother filed a court order to take Ryann from me, citing my grief and a ton of lies in order for her to obtain custody.) I had decided to not proceed with any other vaccines. Kara: I was told that the brain weight was consistent with seizures caused by vaccines. I’m not sure if they said the seizures in fact caused her death. I remember one medical expert using the term “the perfect storm”. Q: How has life been since losing Peyton? Kara: The first 5 years were the worst; I was scared to sleep because the nightmares were so bad. I was never allowed to grieve or show emotion, if I did, I was crazy. I continuously spent my time making other people feel comfortable around me. I lived a lie. A smile on my face, dying inside. After Ryann was born, the sleepless nights became every night, knowing I’d wake up to find her dead. After a few years in therapy, I finally admitted I had no emotional attachment to Ryann for the first year of her life, cause I knew I was going to lose her too. The last 5 years have been better as my faith has grown, the sleepless nights, the nightmares, and panic are still there. I’ve learned the few people I can speak Peyton’s name around. I still show no emotion or hurt to others concerning her death, scared they may attempt to take Ryann away again. Q: What support did you have after her passing? Kara: Ha!!! Very little!! The day we buried her, Ronnie got pissed at me because I hugged my ex-boyfriend from 10 years ago at the funeral. My mom still changes the subject when I bring her name up. I was stuck in my own head for years, and that can be a scary place sometimes. Q: What resources, research, etc. did you seek out after she died and after the court case? Kara: I Googled everything I possibly could. I tried to find other parents who went through something similar with no success. Q: What is the biggest vaccine issue in your opinion facing society at this time? Kara: The truth isn’t available for anyone to even know. We trust doctors know best. Because vaccine deaths aren’t making headlines, then they aren’t “real”. 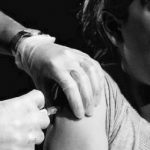 Q: What is your advice to other parents faced with vaccine decisions? Kara: Do your research!! If they are able to know all the facts, including the deaths of the children not accounted for, read the inserts, and know exactly what they would be injecting their child with. Then make an education decision, not one that is forcedupon them. 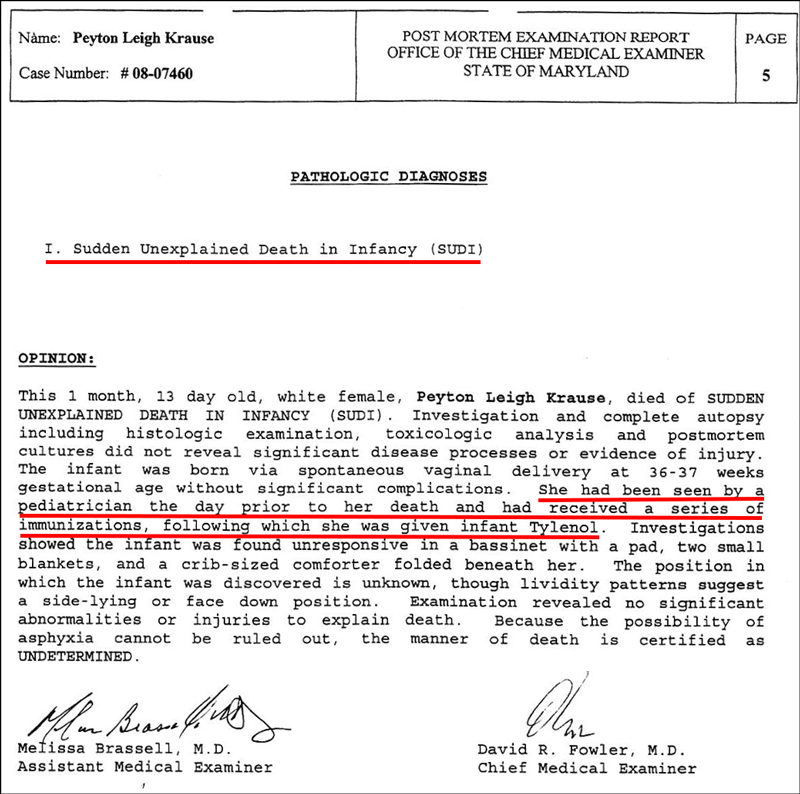 In Peyton’s autopsy report, signed by the neuropathologist, it reads, “she had been seen by a pediatrician the day prior to her death and had received a series of immunizations, following which she was given infant Tylenol.” Peyton’s death was still “undetermined” and classified as Sudden Unexplained Death in Infancy (SUDI). Even though tragic, Peyton’s death from vaccines, was validated and proven through the Office of Special Master’s Vaccine Court and awarded through the National Vaccine Injury Compensation Program (NVCIP). 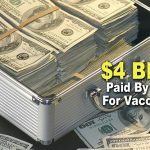 As of November 1, 2018, the NVCIP has paid $4,000,103,277.34 to families whose children have been injured or killed by vaccines since the passing of the National Childhood Vaccine Injury Act of 1986. It’s time to restore liability to the vaccine manufacturers and hold them responsible and accountable for the disturbing amount of horrific injuries and deaths caused by their products. Wolf Street – Deutsche Bank Death Spiral Hits Historic Low. European Banks Follow by Wolf Richter. “But it’s not just Deutsche Bank. The outfit is an example of a broader development in Europe, where the years following the financial crisis, the years of zero-interest-rate policy & negative interstate policy — ZIRP & NIRP — weren’t used to rebuild bank capital & clean up balance sheets & get rid of non-performing loans, but were instead used to prop up the sovereign debt of euro countries whose governments can’t handle a hard currency they can’t devalue, such as Greece, Spain, Italy, Portugal. It begs the question – how much government deb are Australian banks propping up ?? And is that why Liberal Party Treasurer Joseph Benedict Hockey GIFTED –AU$9.000.00.000 — to the Reserve Bank of Australia ?? It was The Honorable Joseph Benedict Hockey the Chicken Feather Salesman while he was there. I can’t believe I’ve been at it that long & / plus a few more years.